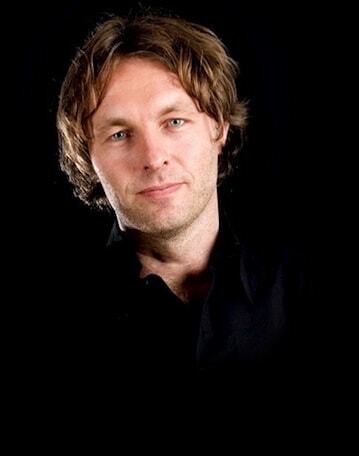 After having lived all over the world, Julius Blaauw returned to the Netherlands to study Industrial Design at TU Delft. 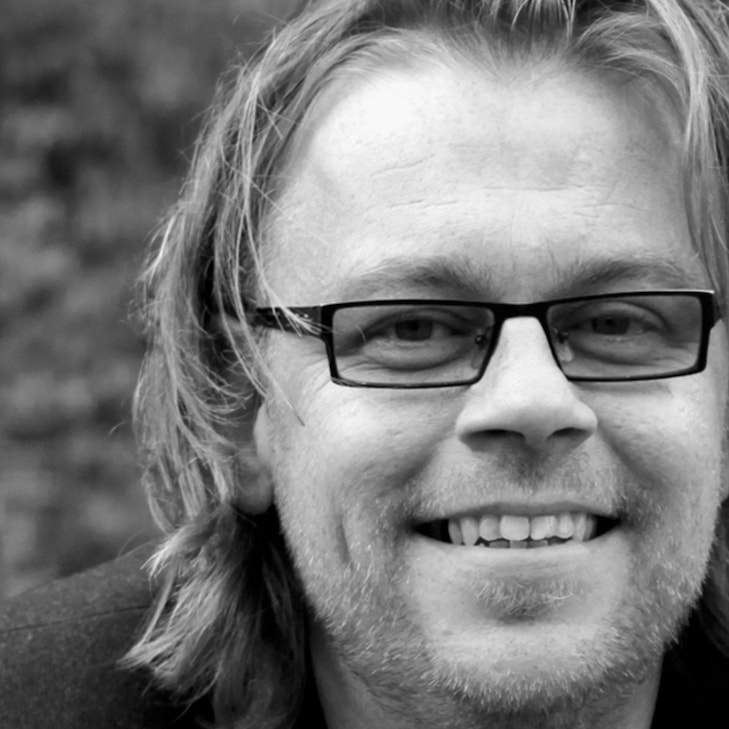 He finished his studies and now demonstrates his skills in order to conquer the world! 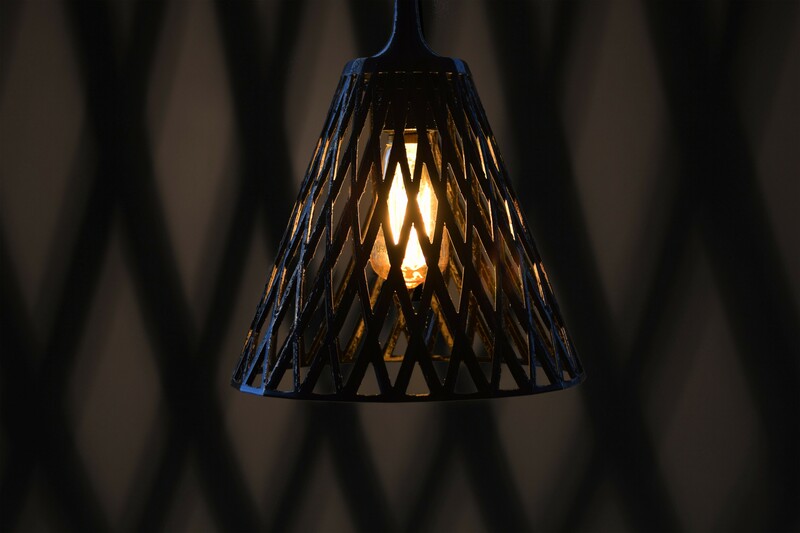 This modern plastic lamp resembles a woven rattan basket, and the material from which the cap is made resembles Wicker, which we've come to know of braided garden furniture. While this Wicker lamp is probably named after this garden trend, the lamp is neither made of rattan nor is it braided. 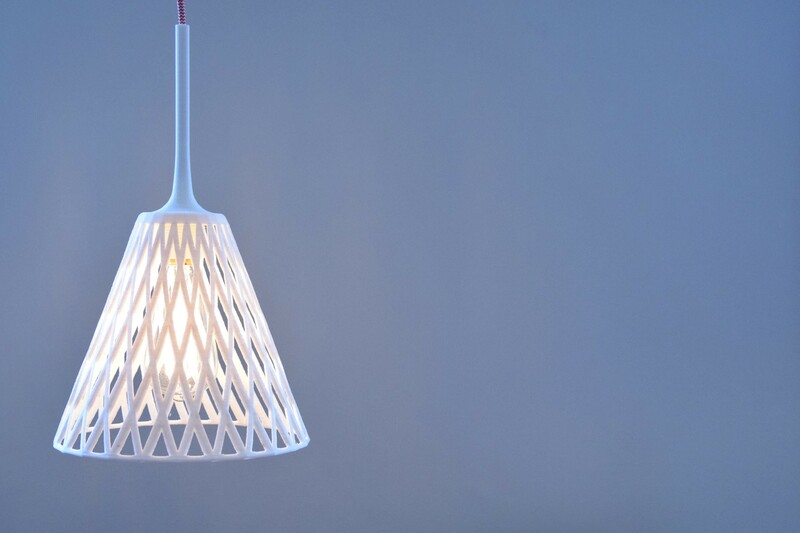 The lamp is made of plastic, but is manufactured with the new 3D printing technology. 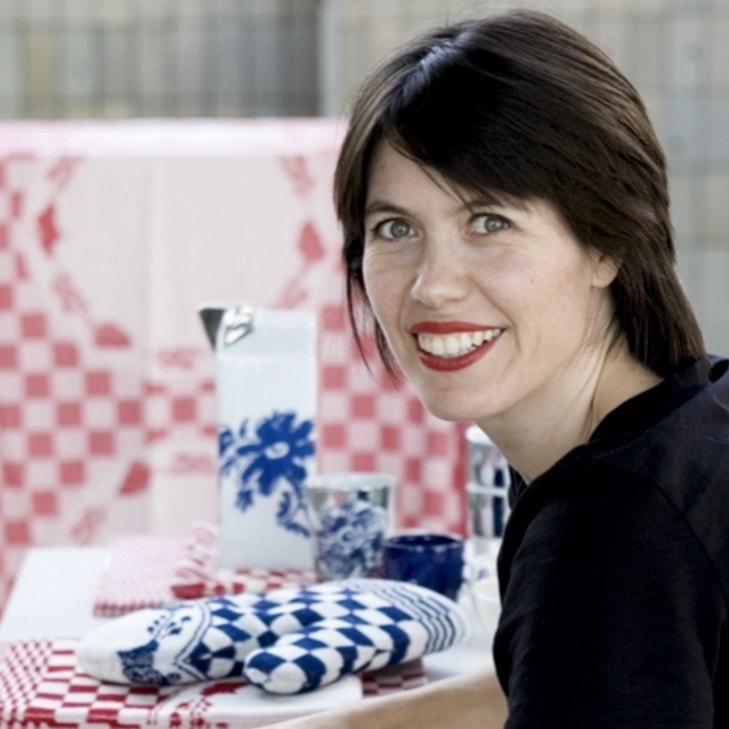 Using a new production technique, designer Julius Blaauw designed the Wicker pendant lamp, reminiscent of traditional basket weaving. 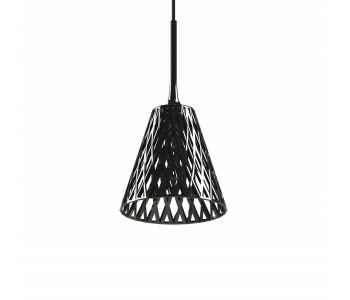 The shade of this pendant lamps resembles an inverted woven wicker basket, but this is mere appearance. These lamps are in fact printed with biodegradable plastic material, which is sometimes referred to as PLA. The material looks a lot like Wicker, which by now we've come to know as a sustainable alternative to rattan furniture. Presumably, the lamp gets its name from its resemblance to this material. The diamond-shaped holes created by the braided design produce a cheerful play of shadows in the room. The timeless colors of black or white add to the modern look of the lamp. 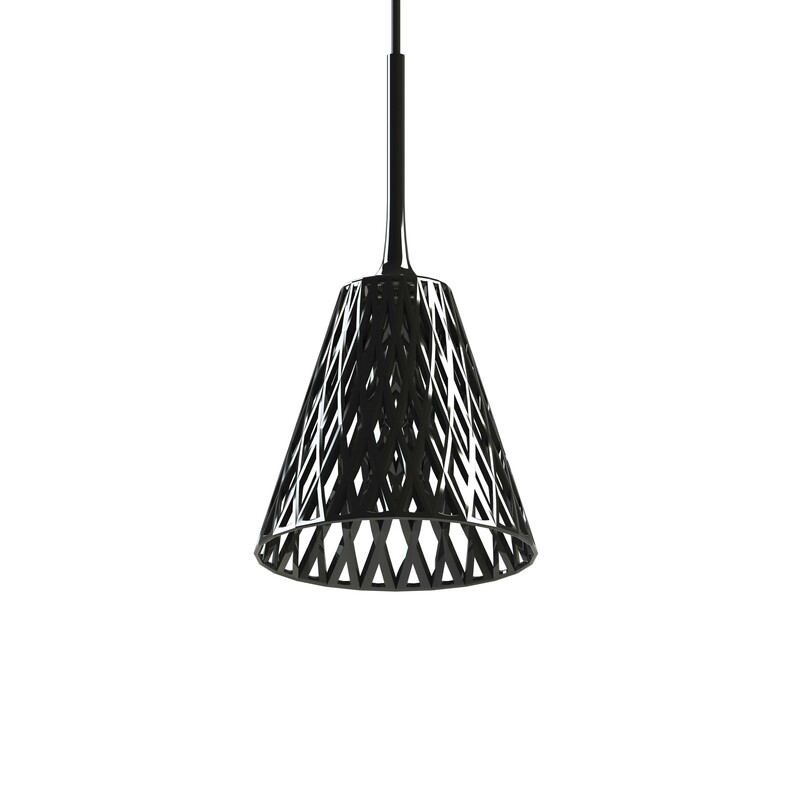 The hood of the Wicker lamp is 36 cm in height and has a diameter of 16 cm. It supports a lightbulb with a maximum power of 40 Watts, E27 and a power supply of 220 volts.